Here is the production run update. 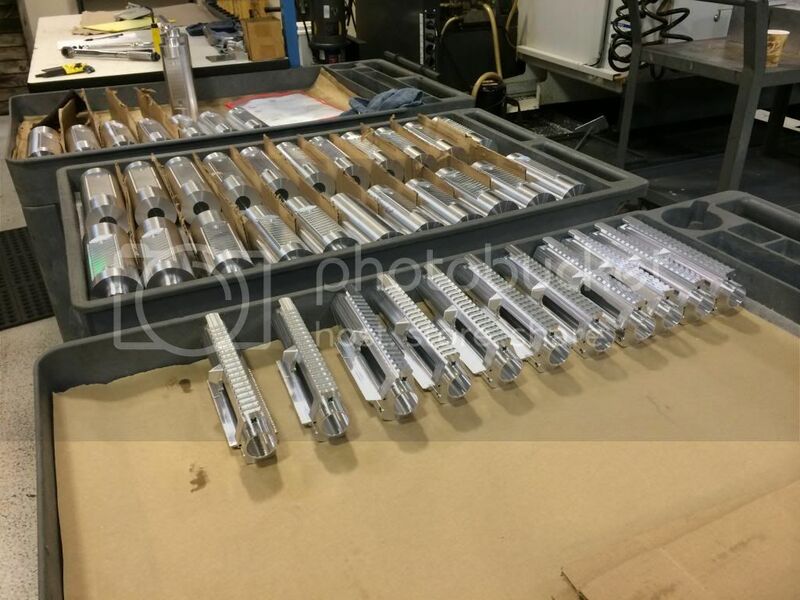 Our Lowers are completed, off the machines and we expect them back from broach within 1-2 days, we will debur and then they will be ready to ship early-mid next week. Our jigs are completed and ready to ship. 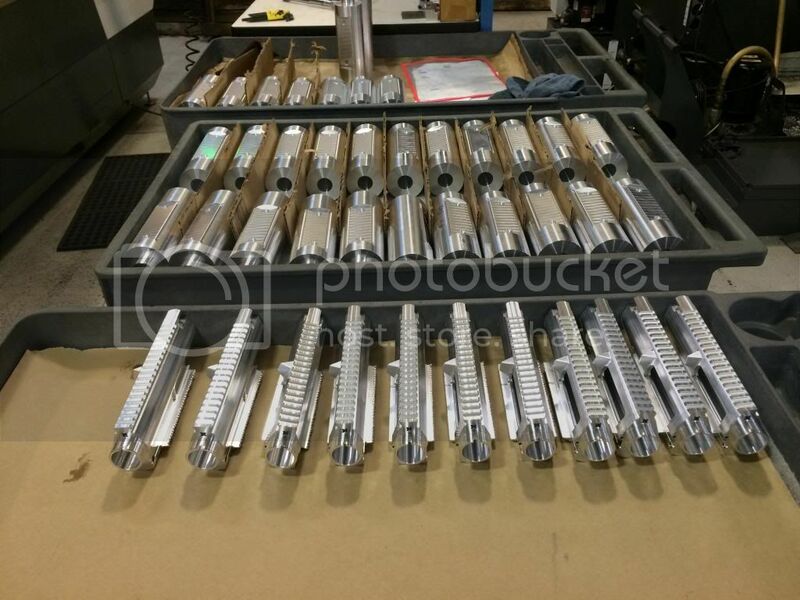 The Upper receivers are completed off the machines, and are currently being broached (last operation not performed in the CNC machine). When complete they will go off for annodize and then be ready to ship. Anticipated shipping beginning late next week.